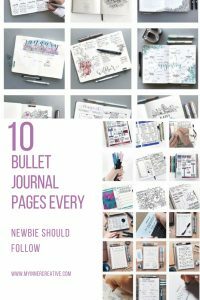 You are here: Home / Bullet Journals / The top 10 Bullet Journallers every newbie should follow! 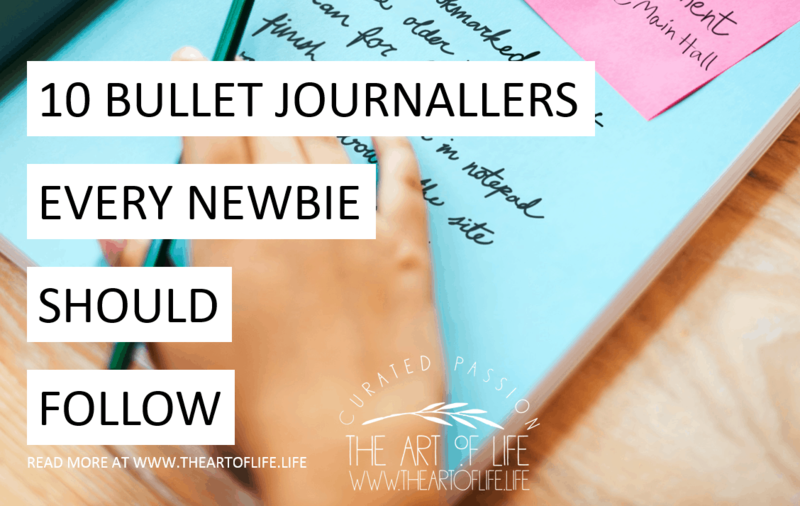 The top 10 Bullet Journallers every newbie should follow! 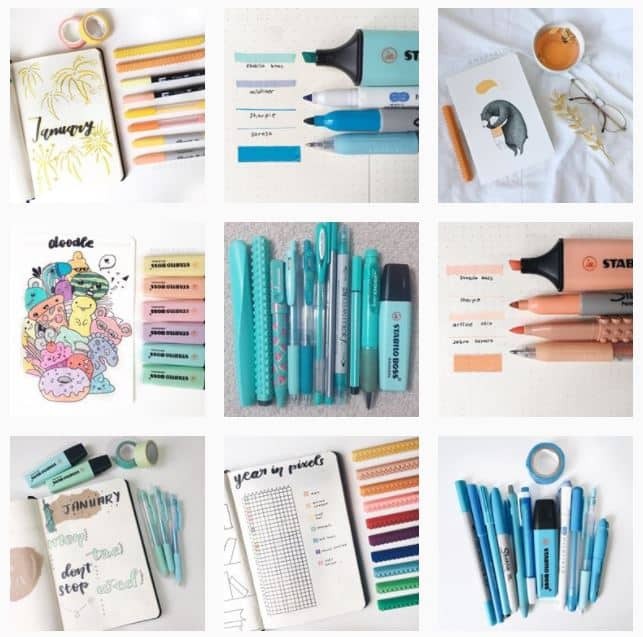 There seem to be so many things that go into this, products/Pens all of the things that really shouldn’t be your top priority. 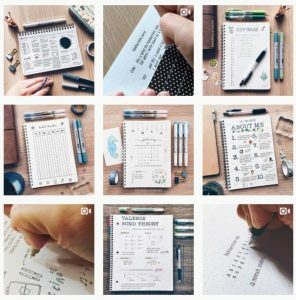 If you haven’t already – have a look at our getting started guide, it will lead you to some really great minimalist/easy starting guides to get you on the right track. 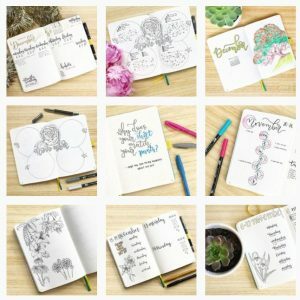 If you are a newbie and want to aspire to some truly inspirational journals – then start following some of these amazing pages! Well firstly follow us! We have an Instagram feed dedicated to some incredible Journallers, and their journals. Every week features a different color theme! We try to feature some of the most gorgeous spreads. Click on the image below to go to our page. This fellow kiwi has the most incredible spreads! Her creativity astounds me! 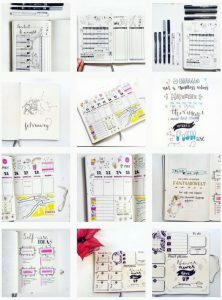 Her blog is gorgeous and informative and her spreads are just delightful! Read her blog here she also has an adorableetsy shop with some gorgeous stickers! Side note:if you buy some stickers – you can use the code TAOL10 for a 10% discount! 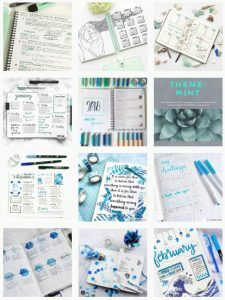 Kimmy is a guest blogger over at decade thirty and designs practical and beautiful designs in her BuJo’s. Her creativity is evident the second you step onto her page. You wont look back! Lets just take a step into pure creativity here for a second – this gorgeous account is sprinkled with art and Bujo! If you want to check out the blog here! 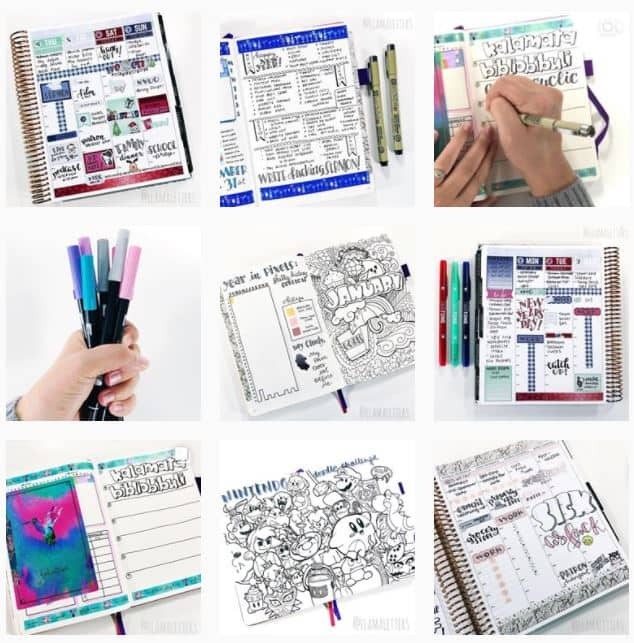 But also – check out their designer note books here! They have heaps of gorgeous free printables too! 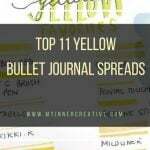 Quite often you will see them subbing in over at the offical Tombow USA site! Kara at Boho Berry is a well established journaller with many years of experience. You can check out her site here. AND they have just launched an incredible planner box with gorgeous goodies delivered to your door every month! Yummmmmmmy! Kalon over at NohNohstudies just embodies the balance of studying and using journals practically and then the creative nature that comes with the bullet spreads. You don’t want to miss this amazing page. 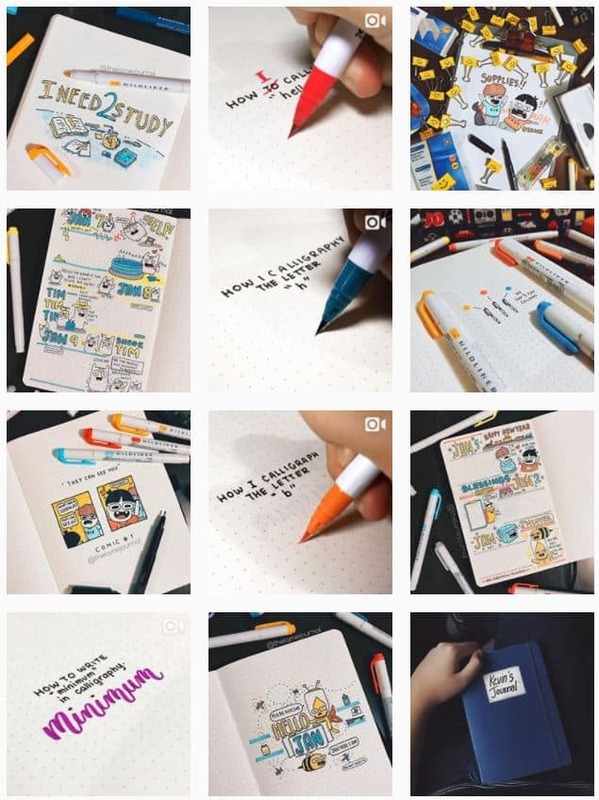 What I love about this feed is the beauty that comes with the doodles that they design! Its so simple but so effective and the spreads look amazing! 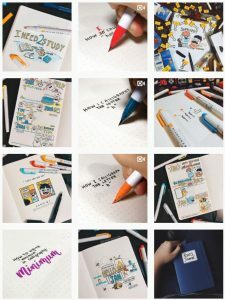 They also have great lettering video tutorials and have an entire you tube channel dedicated to this! 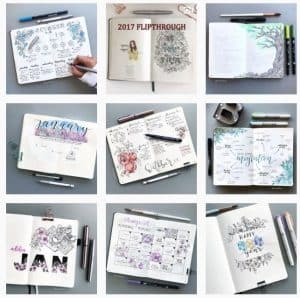 This gorgeous feed brings together doodling and the practicality of a day to day planner. Her work and lettering is simply stunning! My eyes get happy when I drift over to her page! This gorgeous, relativity new account is from Stephanie, a 22yr old student in Germany. 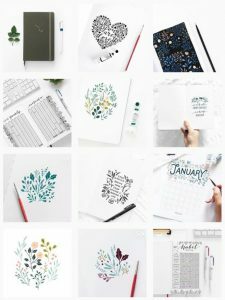 Her work is gorgeous and her feed delightful! 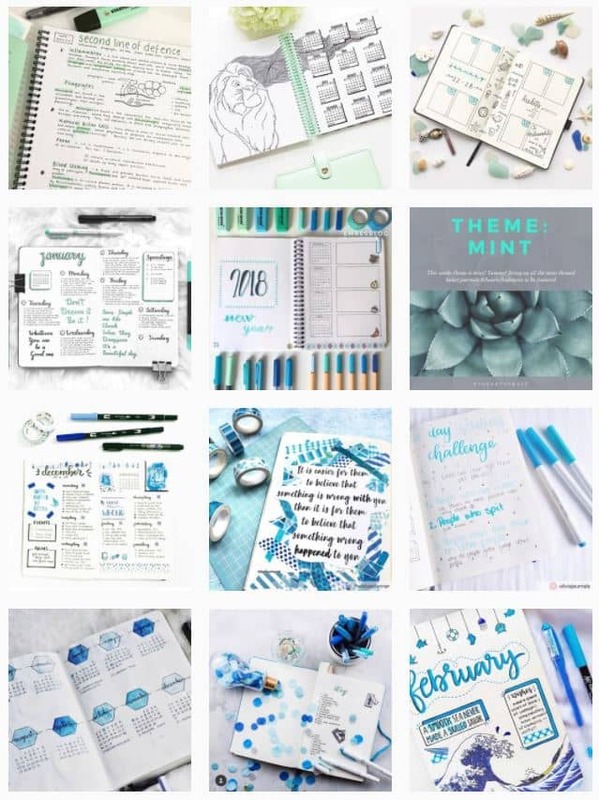 If you want some amazing inspo – head on over for some mind blowing spreads! Last but certainly NOT least Emre has the most amazing mix of swatches and spreads. The spreads are always divine and make this whole thing look easy and gorgeous and something you want to do! 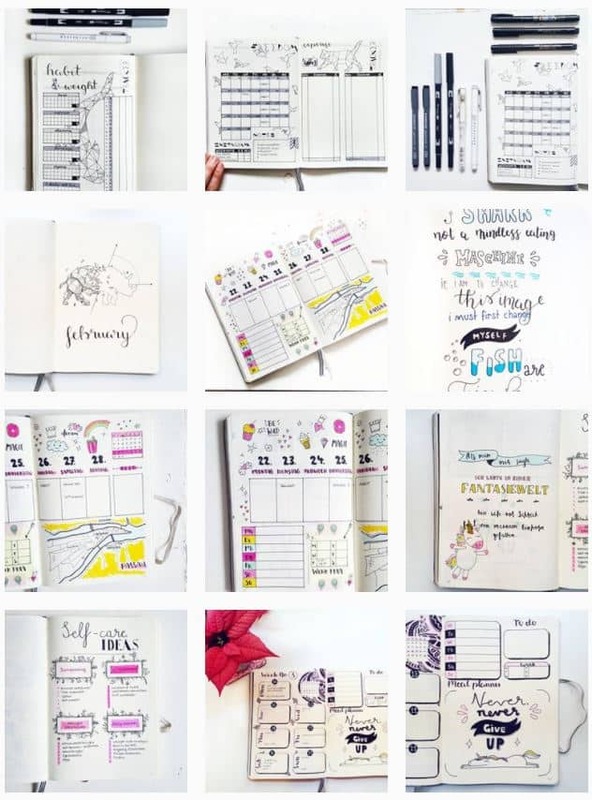 At the end of the day however – make your journal your own, these feeds might give you great inspiration, but it doesn’t mean that this is what your spread should look like. Inspiration is great but don’t be sad when it doesn’t look the same. some of these art work can take practice so most importantly DON’T BEAT YOURSELF UP ABOUT IT! AND Don’t just give up because you feel it looks ugly! Ill post soon on how to make your journal look lovely without having to learn how to make pretty handwriting! 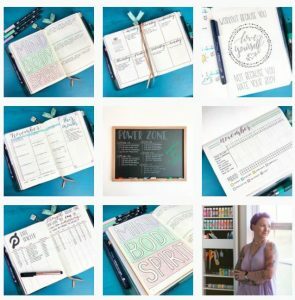 Remember – if you are just starting out, we have a great free printable right here to help you out! 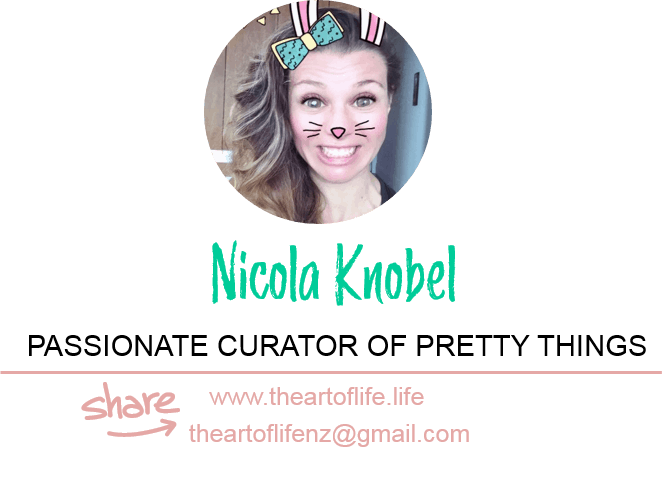 Read her blog here she also has an adorable etsy shop with some gorgeous stickers! Kim is a guest blogger over at decade thirty and designs practical and beautiful designs in her BuJo’s. Her creativity is evident the second you step onto her page. You wont look back!